A day after Art of Living (AoL) founder Sri Sri Ravi Shankar met Muslim cleric Maulana Salman Nadvi to discuss the Ayodhya dispute, the latter disassociated himself from issue on Friday. "I disassociate myself from the Ram Mandir issue. We will wait for the judgement of the court," Nadvi told ANI. AIMPLB member on Sunday informed that the committee has decided to remove Moulana Salman Hasni Nadvi's from the board . 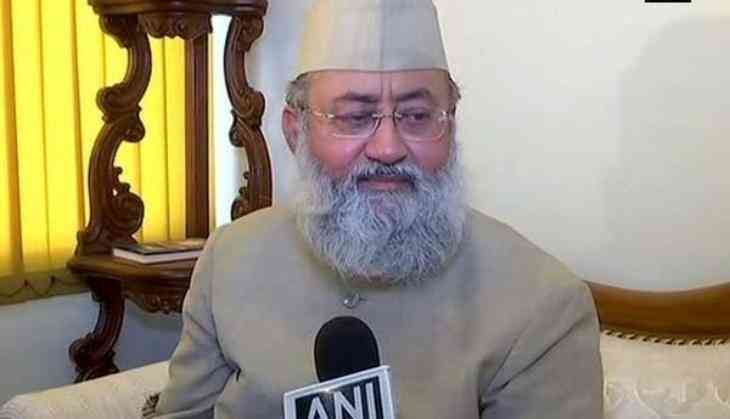 The Muslim cleric, who was recently removed from the All India Muslim Personal Law Board (AIMPLB), said , "I will only return to the AIMPLB if four persons including its chief Asaduddin Owaisi and Kamal Faruqui are removed." Talking to the media, Ravi Shankar said, "We have been getting good responses from every side. We are talking about harmonious co-existence of both communities and construction of grand Ram Temple. There is a lot of goodwill and cooperation from Muslim community." Presently, the case is pending before the Supreme Court and will be heard on March 14.